Celebrating is an essential part of life , and celebrating your birthday is the most important ! It's my birthday ! 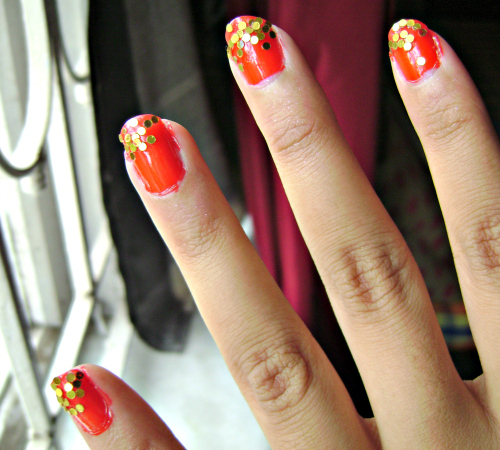 and wanted to do a special nail art which is in every way unique! I am more of a classic favoring person so I loove red nail and thought why not give that a little feisty twist ! 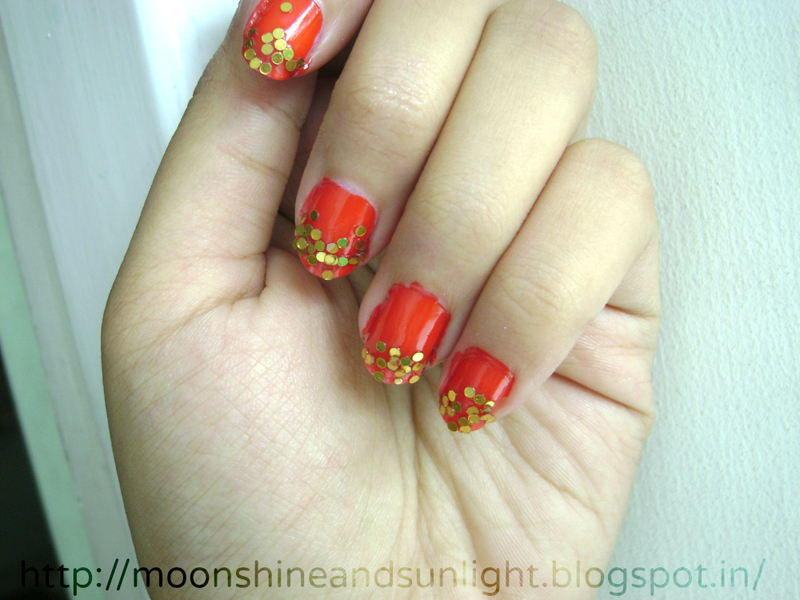 So I did this nail art with my glitter ! Golden glitter ! and as usual I had started to click pictures before giving the finishing touch !! Hope you like this because I enjoyed making this a lot!! And it looks a billion times better in reality ! Do let me know what you think of this ! This is so pretty.. And belated happy birthday hun.. Thanks a lot viddhi !! That is not a glitter polish ! that's just simple craft glitter and looks fab believe me ! !